A world of wonder awaits just below the surface, and this distance learning adventure explores these amazing places. Specially adapted animals, beautiful mirror pools, sparkling crystals, domed caverns, and twisting tunnels lie just below our feet in many areas around the world and even on other planets! Caves provide just one connection between our everyday lives and this rich underground ecosystem. Join scientists and CavesLIVE for an exploration of the world beneath our feet, and find out how we are connected to these amazing underground resources. 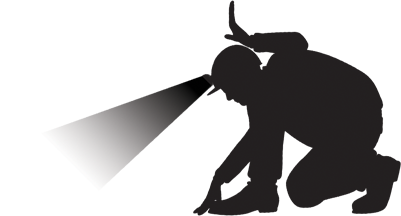 Click Here to watch "CavesLIVE: Bringing Caves and Karst to Light". This 40-minute video explores cave ecology, geology, hydrology, and conservation, as well as human uses of caves. 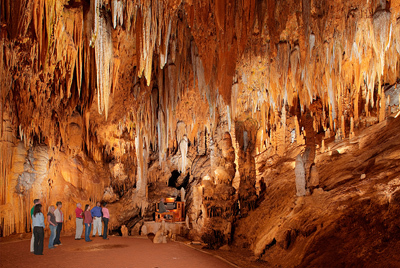 Click Here to watch "CavesLIVE: A Distance Learning Adventure" videotaped live from Luray Caverns in Virginia. Scientists answer all of your questions about caves. Caves and karst make landscapes diverse, fascinating, and rich in resources, including the largest springs and most productive groundwater on Earth. 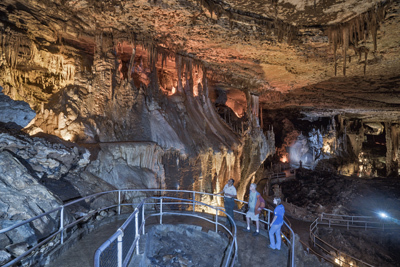 A total of 175 different minerals occur in limestone caves, a few of which have only been found in caves. Caves and karst provide a unique subsurface habitat for rare animals. Caves preserve fragile archaeological and paleontological materials for millennia. Throughout history people have used caves for many purposes: from guano mining to tourism. The potential of caves as natural laboratories may be their most significant future use.